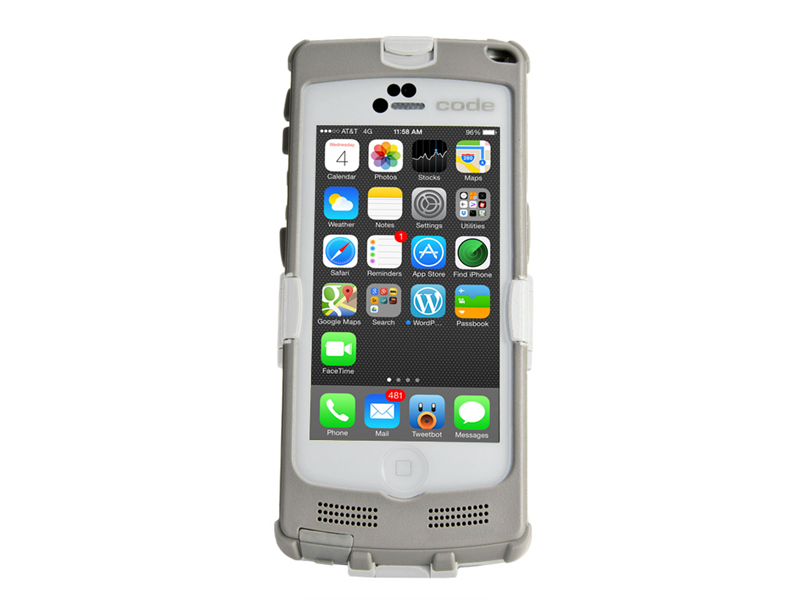 The Code CR4405 iPhone® sled can easily and quickly convert your smart phone into a rugged, mobile barcode reading solution. The integrated scan engine makes reading and decoding all 1D, 2D and stacked barcode symbologies a snap. Its unique rechargeable battery cartridges are easy to replace, and with the ability to provide power to the phone as well, you can increase productivity and minimize workflow interruptions. The CR4405’s rugged IP54 housing allows it to be used even in harsh environments, and stands up to frequent, rigorous chemical cleanings.